Super Bowl Sunday is February 3rd and it’s time to start prepping! 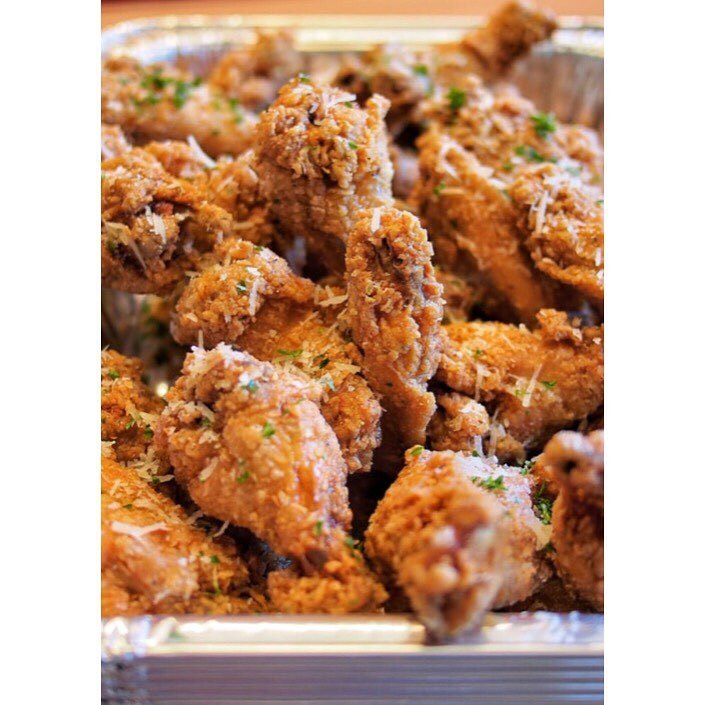 You can order trays from Ace’s Wings. They’re $40 and include 2 flavors with 30-35 wings. Flavors include Ace’s Hot & Garlic, Roasted Garlic Parm, Soy Honey Garlic, Sesame Teriyaki, Salt & Szechuan Pepper, Honey BBQ, and Sweet Thai Chili. Reserve your tray now before it’s too late! 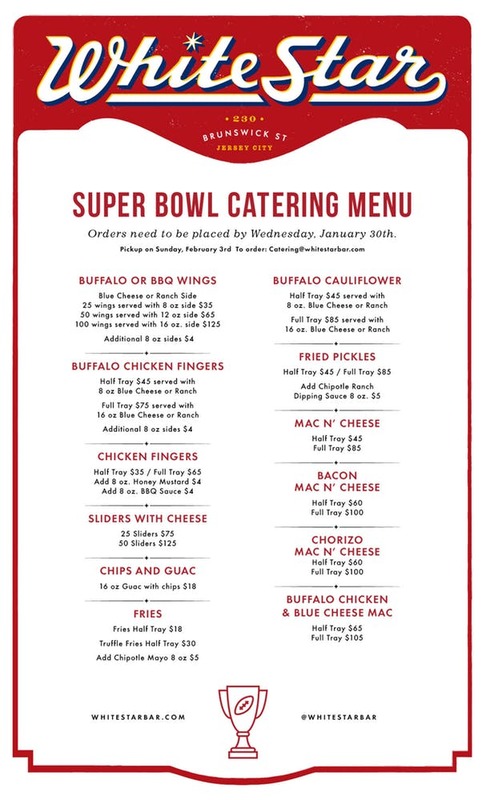 White Star has a catering menu available for the Super Bowl. 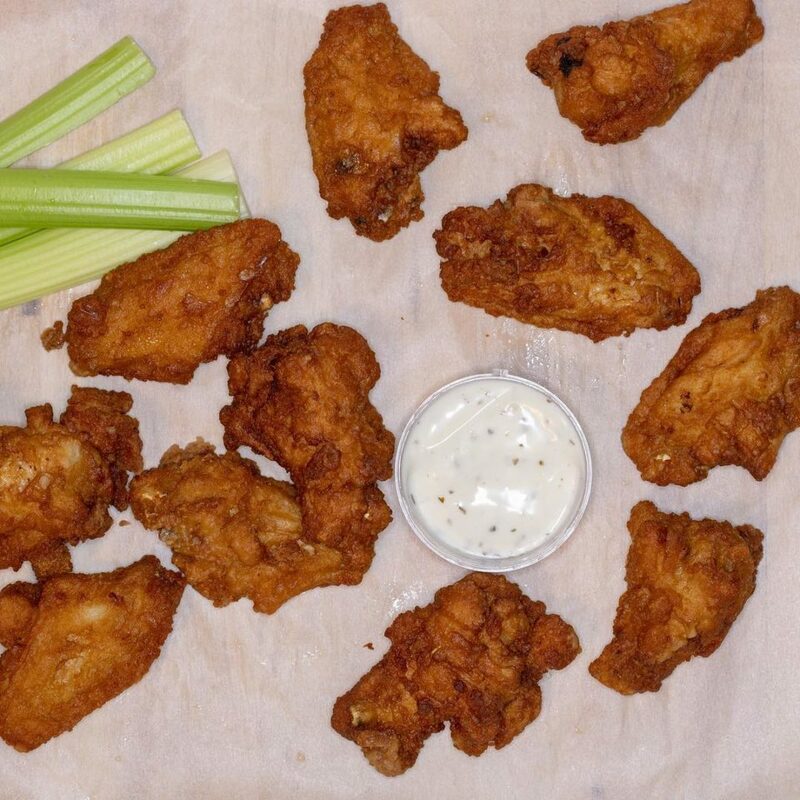 Whether it’s for pickup or delivery, you can get their incredible wings, buffalo cauliflower, fried pickles, mac & cheese, and more! 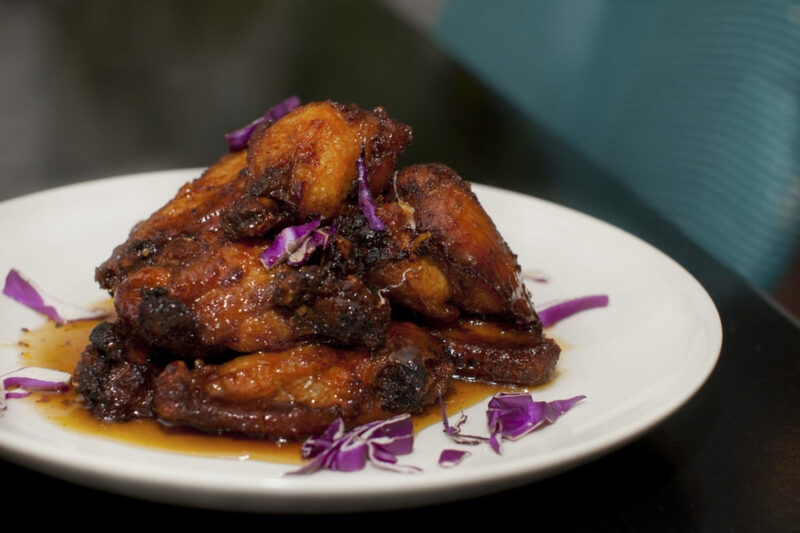 Enjoy BBQ wings at South House with your choice of sweet or spicy sauce on the side. 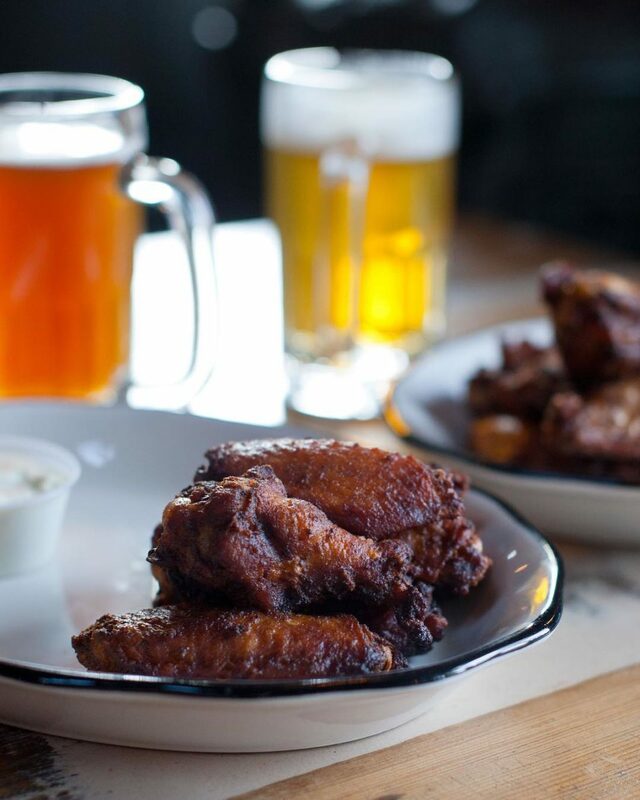 Stop by Hudson Hall to enjoy their Football Sunday specials, including $1 wings and $5 drafts. If you’re looking to warm up this winter, grab some ramen with wings on the side! 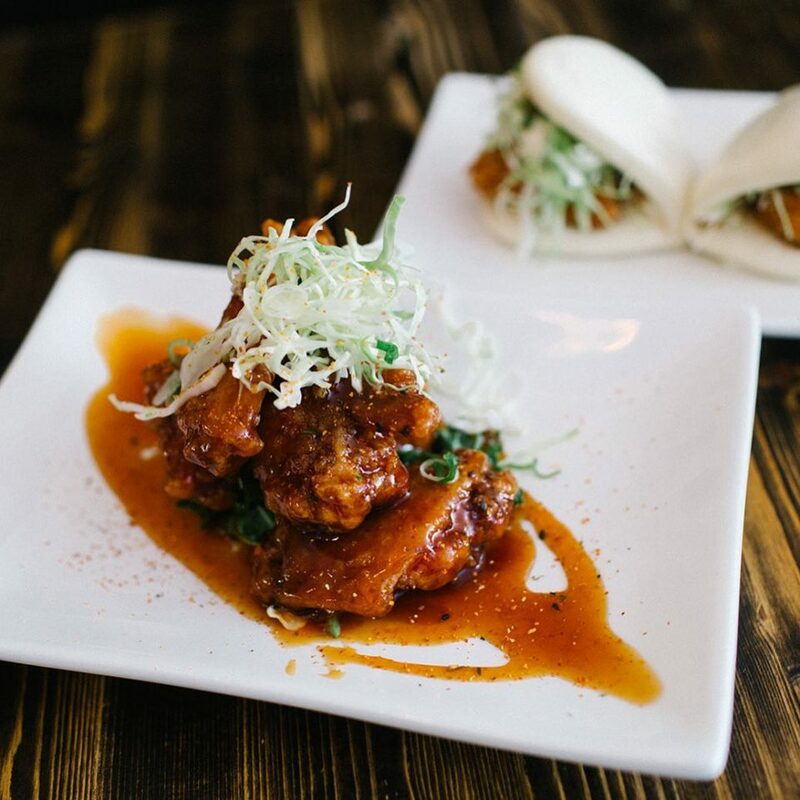 Their wings include seven-spice dry rub & sake soy glaze. 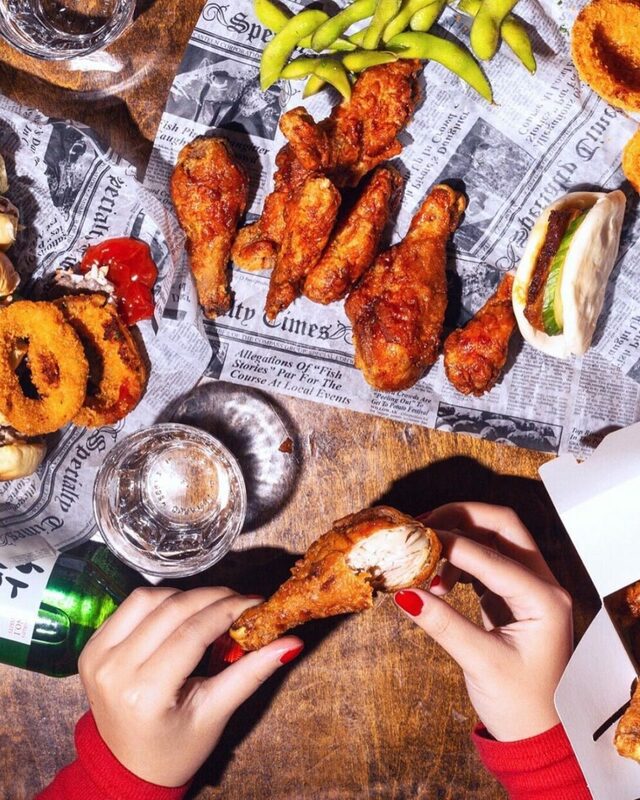 If it’s just you and a couple of friends, order wings from Talde through UberEats, Grubhub, and Seamless! Their Kung Pao Chicken Wings come with peanuts and buttermilk ranch. Grab some wings from Harry’s Daughter with your choice of Scotch Bonnet Honey, Harry’s BBQ, or Peri Peri. 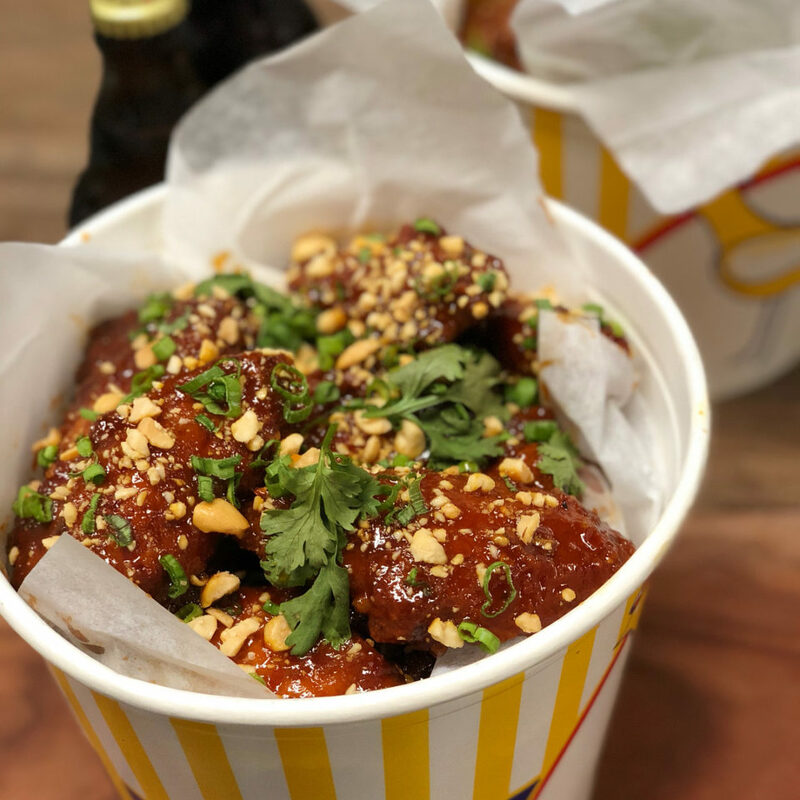 Enjoy Korean fried chicken wings at BonChon! 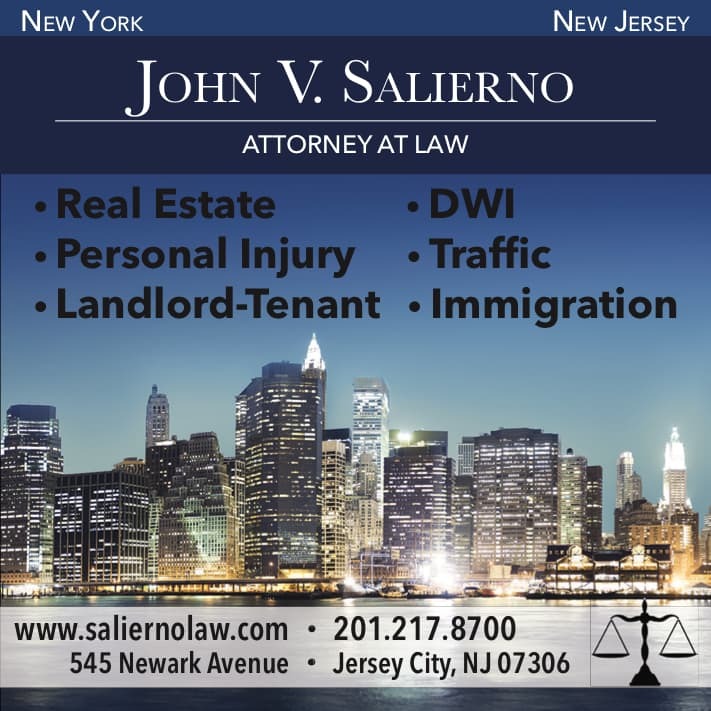 You can get a small, medium, or large order of wings with your choice of spicy or soy garlic. 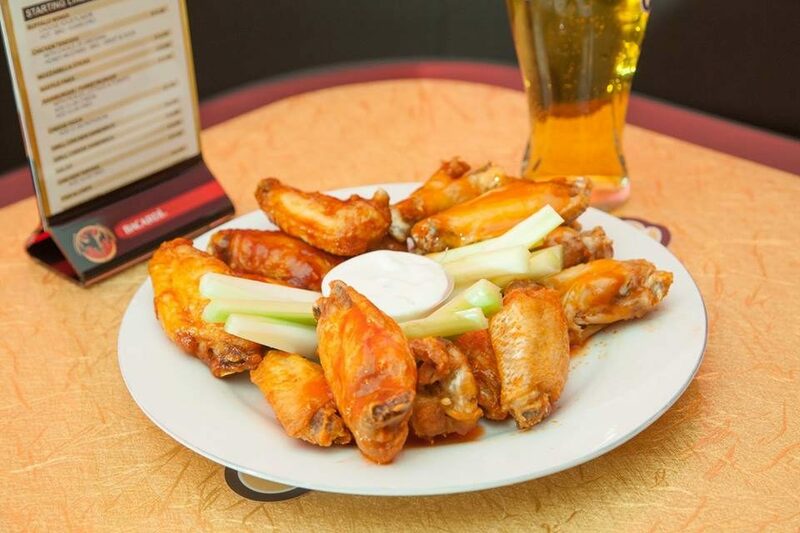 Halftime Bar has a wide range of flavors for wings! 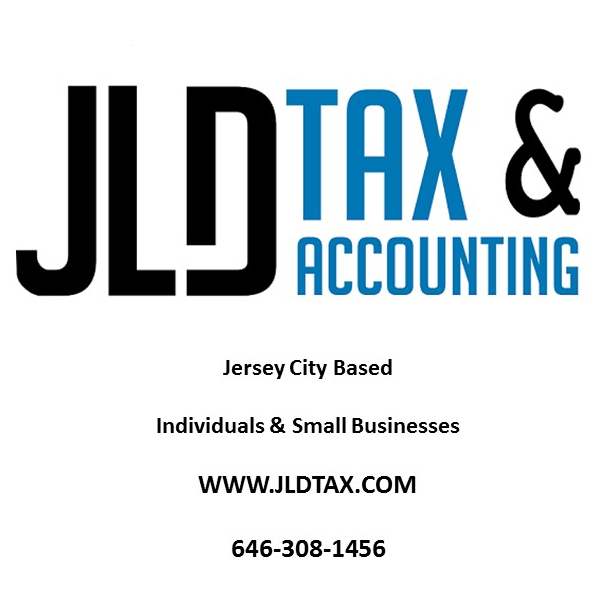 Order your choice of Hot Buffalo, Honey BBQ, Asian Chili, Lemon Pepper, Jerk, or Old Bay. 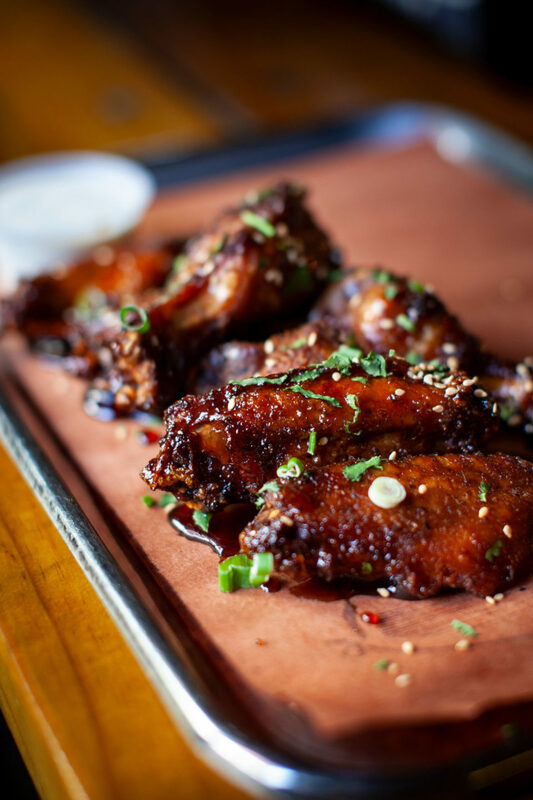 Hamilton Pork has “Kung Pow” wings on their menu with sesame seeds and ranch dressing. 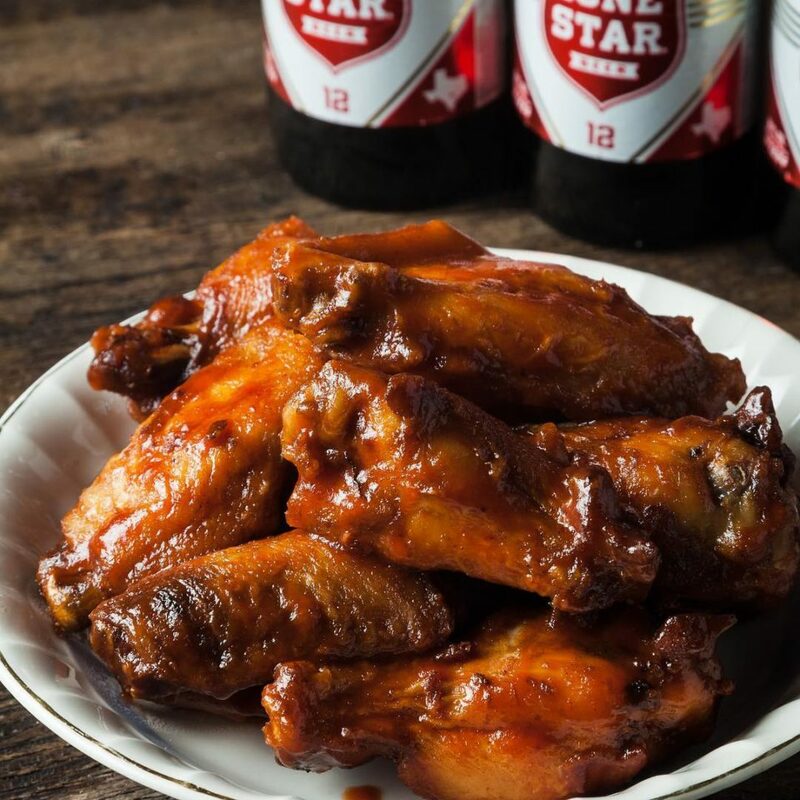 If you pass by Gino’s in the Heights, you can get an original order of chicken wings, Gino’s wings with medium spice, BBQ wings, or buffalo wings. 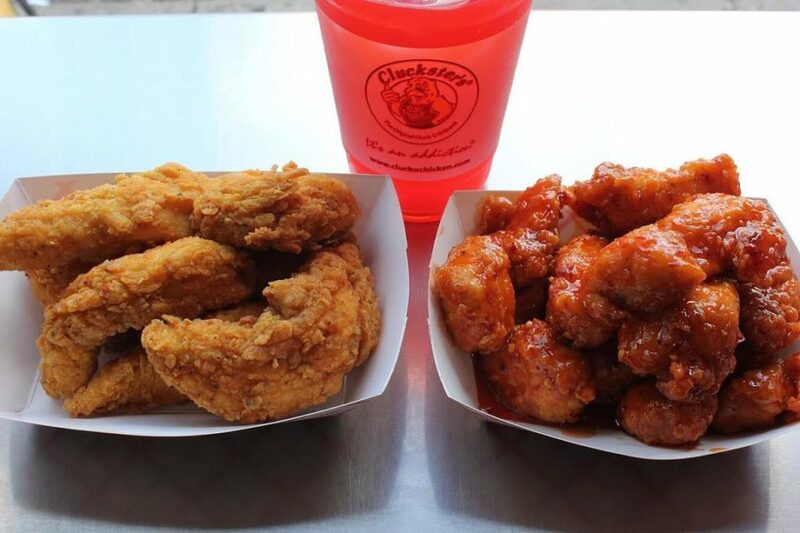 At Cluck U, you can get buffalo wings regular or boneless. Their flavors include 911, Thermo Nuclear BBQ, Traditional Death, Nuclear BBQ, Cluckster’s Hot, Lemon Pepper, Garlic Cheese, Atomic BBQ, Cajun BBQ, Traditional, Mild BBQ, Honey Hickory, Teriyaki, Mustard BBQ, and Sweet Chili. 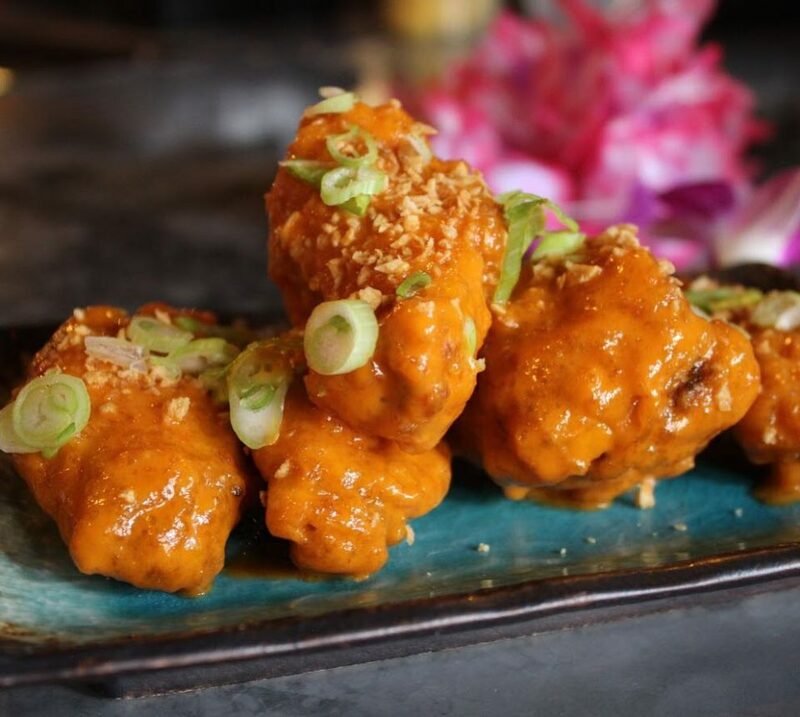 Enjoy Cellar 335’s Korean style wings with your choice of spicy buffalo, maple chipotle, lime-soy, or BBQ.